Olympia has chosen its Queen: Ramona Siebenhofer won her second downhill in Cortina and, after securing her first career win in Friday’s race, twenty-four hours later she was back with another impeccable performance. It is the first time in the history of the course that a female skier has won back-to-back downhills and earns the Austrian a place in the Cortina record books. Lindsey Vonn’s expression, captured at the starting gate just after the Austrian crossed the finish line, spoke volumes: amazement mingled with admiration. The Austrian’s team mate Nicole Schmidhofer, who started two numbers after her, was the only one to even come close, leading until the penultimate intermediate time check. But it was the final part of the course, which awards those who let their skis run, that Siebenhofer made the difference, taking home her second consecutive victory. Behind the two Austrian athletes was the Slovenian Ilka Stuhec, on blistering form, who has turned the corner after her long absence due to injury, coming in 51 hundredths behind Siebenhofer. Just outside the podium was the real revelation, the German Kira Weidle, who skied incredibly in the first two races, whereas Lindsey Vonn moved up a couple of places to ninth, 1"36 off the pace. 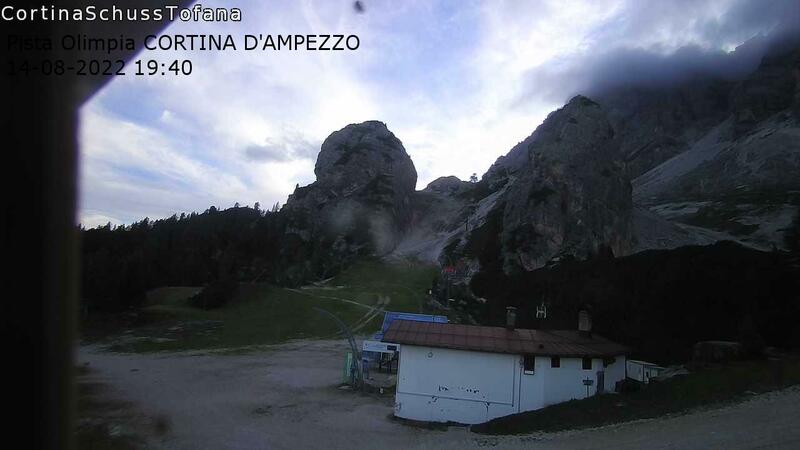 Here you can find the tickets for the Ski World Cup in Cortina d'Ampezzo. Visit out Ticket Shop! © Copyright 2017 cortinaclassic.com - Associazione Permanente Coppa del Mondo di Sci Alpino All rights reserved. Any content published on this page remains the copyright of the authors. Any reproduction is prohibited without the express permission of the Organizing Committee.